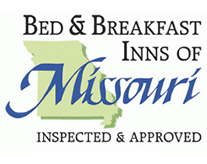 Enjoy our bed and breakfast lodging on the Katy Trail while you experience all that Central Missouri offers. Stroll down the streets of historic Rocheport and take in the pre-Civil War architecture of the historic homes. 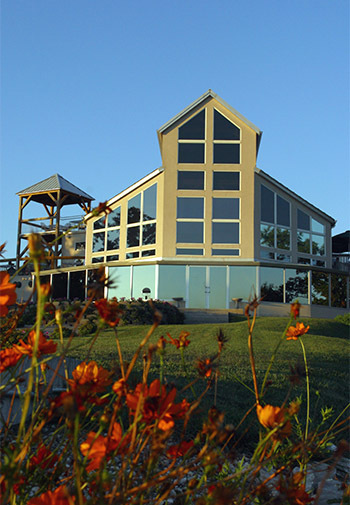 Enjoy an afternoon at the outdoor A-frame or a great meal at the Les Bourgeois Winery Bistro. Take a day trip into Columbia for more things to do: shopping and entertainment options or college sport events at the University of Missouri. 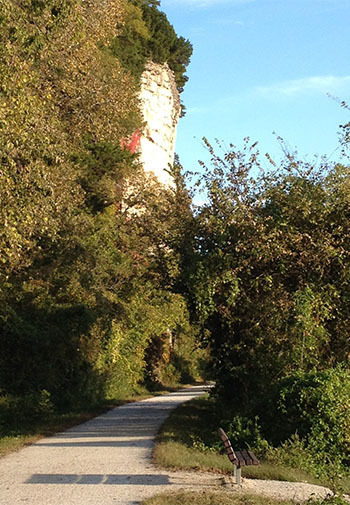 Slow down and breathe in nature as you explore the scenic Katy Trail State Park. You can hike or bike between the 200-foot limestone bluffs and the Missouri River’s edge. Follow in the footsteps of Lewis & Clark as they explored this area over 200 years ago on their historic cross-country journey. Cross over creeks and streams and explore the original MKT railroad tunnel. 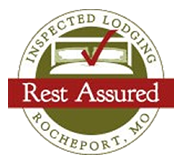 Enjoy wood bridges underfoot and tree-top canopies overhead as you discover historic Rocheport, MO, established in 1825. This Missouri River town is also rich with antique and artisan shops, historic architecture, and old world gardens. And let’s not forget the cafes, and the Les Bourgeois Winery and Bistro atop the river bluff, offering an incredible view. You are sure to get a wonderful “taste” of the area while you are there. This is only the beginning of what Rocheport offers our visitors. Use the resource links and Neighborhood Guide below to scout out restaurants, shops, activities, and area highlights during your stay at the School House Bed & Breakfast. Cream Cheese Stuffed French Toast: Brought to you from the table of The School House Bed and Breakfast in Historic Rocheport ,MO Our signature breakfast entree' and perennial guest favorite!